"I miss the person that I met three years ago… That guy was romantic." Netflix has debuted the first trailer for a romantic comedy titled Happy Anniversary, which is the directorial debut of screenwriter Jared Stern. The story is about a couple, as they approach their third anniversary, who must decide whether to stay together or call it quits. This actually looks maybe even better than you're expecting, so you might want to take a look anyway. Ben Schwartz (from The Intervention, "Parks and Rec") and Noel Wells (from Mr. Roosevelt, Infinity Baby, "Master of None") star as the main couple Sam and Mollie, with a cast including Annie Potts, Joe Pantoliano, Isidora Goreshter, and Rahul Kohli. This does look like a good mix of humor and emotion, with some funny and still poignant moments. Might hit a little close to home for some. 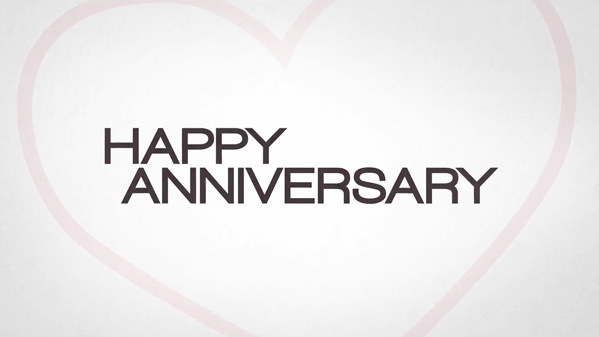 Happy Anniversary is a romantic comedy about a relationship at a crossroads. It's Sam (Ben Schwartz) and Mollie's (Noel Wells) three-year anniversary, and they need to decide whether to stay together or call it quits. The story is told over the course of a single day, while flashing back to show how they arrived at this point. Happy Anniversary is both written and directed by American filmmaker Jared Stern, making his feature directorial debut after working as a screenwriter on Mr. Popper's Penguins, The Watch, The Internship, and both The LEGO Batman + Ninjago Movies, as well as the creator of "Dr. Ken" on TV. Netflix will release Stern's Happy Anniversary streaming exclusively on March 30th later this month. Interested?